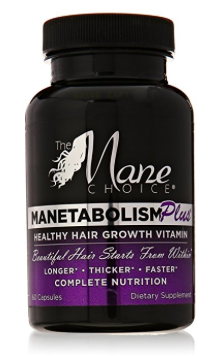 Home » Hairloss & Hair Growth Pills » Manetabolism Plus » Manetabolism Plus Review – Is This Really Effective as a Hair Growth Vitamin? Only Here! 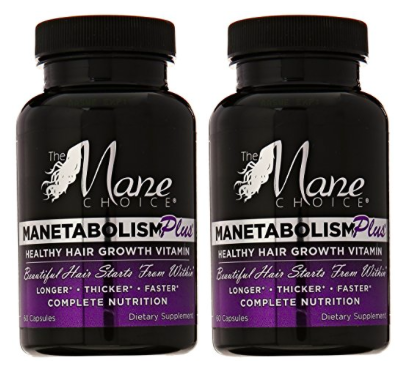 Manetabolism Plus Review – Is This Really Effective as a Hair Growth Vitamin? Only Here! A formula by the name Manetabolism Plus is claimed to achieve promising results as regards hair restoration. The product is marketed in the manufacturer’s official website and in other retail websites. Going through the product’s website, I can attest positively about the packaging, but the question remains, will Manetabolism Plus live up to its various claims and promises? Because of the high influx of fake hair formulas in the market, I have taken it as a task to properly evaluate each product I come across for our benefit. In this review, my work is to put together comprehensive information about this formula. This will help us know what is really in there for we as users. Grab some coffee and follow the review! What is Manetabolism Plus ? Manetabolism Plus is sold as a daily dietary supplement formulated to nourish the scalp for a thicker, fuller and healthier hair growth. It is said to be a healthy hair growth vitamin. The formula is manufactured in the U.S by The Mane Choice pioneered by Courtney Adeleye (a registered nurse). 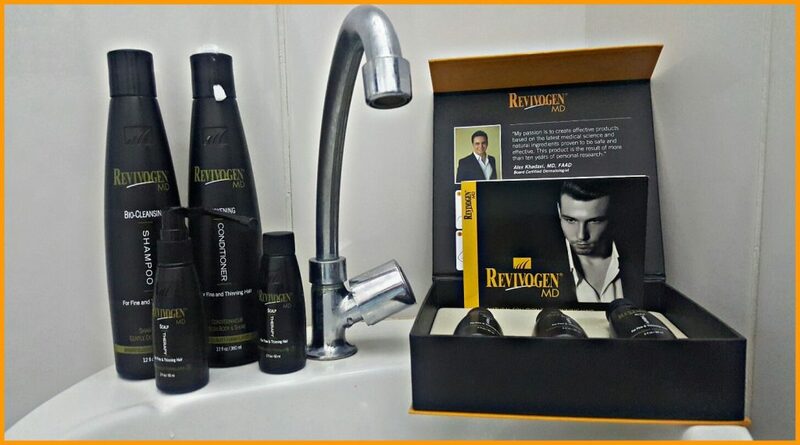 Aside the above mentioned benefits, the hair product should boost our energy level and strengthen our immune system. This sounds pleasant, right? But are there proofs? Further research about this formula reveals that it is manufactured in FDA approved facilities, plus that the manufacturing process is in line with Current good Manufacturing Practice (cGMP). Each bottle of Manetabolism Plus contains 60 capsules of the supplement of which we are told to take two capsules daily for best result. In line with the description of the product, it should take an average of 30-60 days to show significant result. Are there rational terms and conditions that accompany this hair supplement? How often has it been used and tested? Well, I came across a page 0n the official website where the product owner mentioned that purchase is final. I could find many feedbacks from past users. There are more details to further evaluate this formula. The manufacturer of this hair supplement promotes that it is made with a proprietary blend of ingredients. The product constituents should include Vitamin A, Vitamin C, Calcium Carbonate, Vitamin D3, Vitamin E, Vitamin K1, Thiamin, Riboflavin, Niacin, Vitamin B6, Folic Acid, Vitamin B12, Biotin, Pantothenic Acid, Magnesium, Zinc, Selenium and copper. The formula also contains MSM (Methylsulfonylmethane), Shark Cartilage, Brown Seaweed, Horsetail, Inositol, Docosahexaenoic Acid, Grape Seeds Extracts, Ginkgo Biloba Leaf, L-Lysine, L-Alanine, L-Arginine HCl, L-Aspartic Acid, L-Cysteine HCL, L-Glutamic Acid, L-Glycine, L-Histidine HCL, L-Isoleucine, L-Leucine, L-Methionine, L-Phenylalanine, L-Proline, L-Serine, L-Threonine, L-Tyrosine, L-Valine and Taurine. Other ingredients in the formula are Gelatin (from Bovine), Cellulose and Magnesium Stearate. Vitamin A: This is an antioxidant that makes the skin, hair and nails healthy. It also supports a thick and shinning hair. Vitamin C: Increases collagen secretion and scalp circulation to aid hair growth. 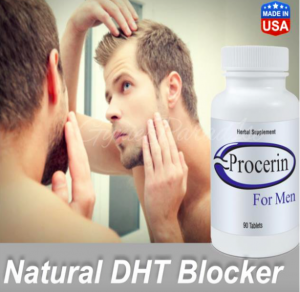 Vitamin D3: Prevents hair loss and fosters hair growth. Vitamin E: Now Vitamin E provides internal and external protection for the scalp. It increases scalp blood circulation to enhance hair growth. Vitamin K: Revives the scalp and gives the hair a healthy look. Niacin (B3): Vitamin B3 minimizes the buildup of cholesterol buildup on the scalp and enhances hair growth. Vitamin B6: This plays vital roles in stimulating hair growth. 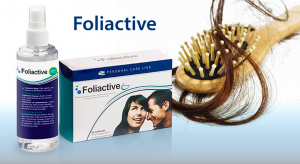 Folic Acid: Known to improve hair quality, longevity and enhances hair growth. It prevents graying of the hair. Vitamin B12: Nourishes and revives the scalp for a healthy hair growth. Biotin (B7): Prevents hair loss, hair graying and breakage. Biotin also makes the hair stay healthy. Zinc: Supports healthy and fast hair growth. The manufacturer of Manetabolism Plus promotes that the formula is for folks (men and women) who want a complete hair restoration regimen. As gotten from our information source, the supplement is for all hair types (natural hair, chemically treated hair, hair in flowing or protective style). In line with the manufacturer’s description, physicians will approve the use of this product, whether for people with special medical condition, breastfeeding or pregnant mothers. All we have to do according to the manufacturer is to print the list of ingredients and consult a physician. The manufacturer of Manetabolism Plus shares that the company’s goal is to give maximum satisfaction to its customers. From our information source, the formula is made with high quality hair growth stimulating ingredients, hence should be safe and effective for enhancing healthy hair growth. The product owner provides international shipping (outside USA) of which we are told to allow up to 72 business hours for orders to be processed and 3-5 business days for orders to arrive. Manetabolism Plus, as we now know promotes to be a dietary supplement to make the hair healthy and stimulate hair growth. In an effort to determine the exact constituents of this formula, I found out that it is a combination of amino acids, vitamins and other components; no wonder it is called hair growth vitamins. Obviously, a good number of users have made positive comments about this product, but the clinical or scientific evidence to support its claim is lacking. For a fact, Manetabolism Plus is truly a dietary supplement, hence should not be classified as a drug. Therefore, there may be no need for clinical proof of claims. The manufacturer of this formula promise to give listening ears to any unsatisfied user of the product, but that is not enough as a rational refund policy is needed to further back up the product. Nevertheless, I am convinced by the feedbacks I saw about Manetabolism Plus. At this point, I will conclude by saying that this supplement has the potential of impacting its user’s hair positively. This is simple. All we need to do is head to its official website, or for a better price and see more about the users’ reviews, you can check it out on Amazon website at (www.Amazon.com/Manetabolism-Plus) and see more about the previous users’ before and after results. Don’t hesitate to leave your opinion or comment below! It’s my pleasure to hear about what you have to say. Previous Post Theragrow Review – Does This Laser Helmet Work As Claimed? Read Complete Review Here! Next Post LaserGain Xl Review – Is This As Effective As Claimed? Find Out Here!